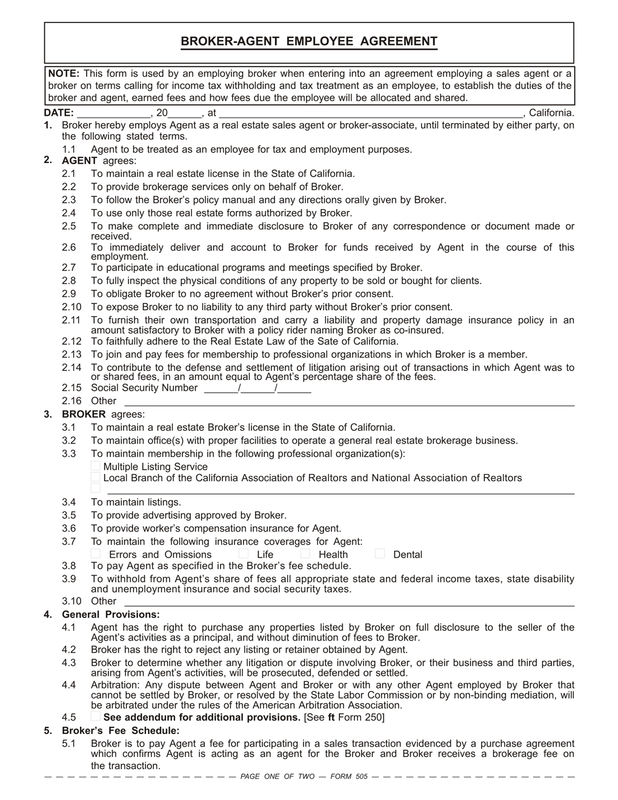 This form is used by an employing broker when entering into an agreement employing a sales agent or a broker on terms calling for income tax withholding and tax treatment as an employee, to establish the duties of the broker and agent, earned fees and how fees due the employee will be allocated and shared. 05/04/2018: Updated Provision 5.1 to include the following statement: Broker is to disburse Agent’s fee as soon as practical after Agent’s completion and submission of the transaction file generating the fee. Form navigation page published 09-2015. Form updated 08-2015 to include the Form Description at the top, white header/footer convention and RPI branding. Thanks! This is very helpful & will be used!